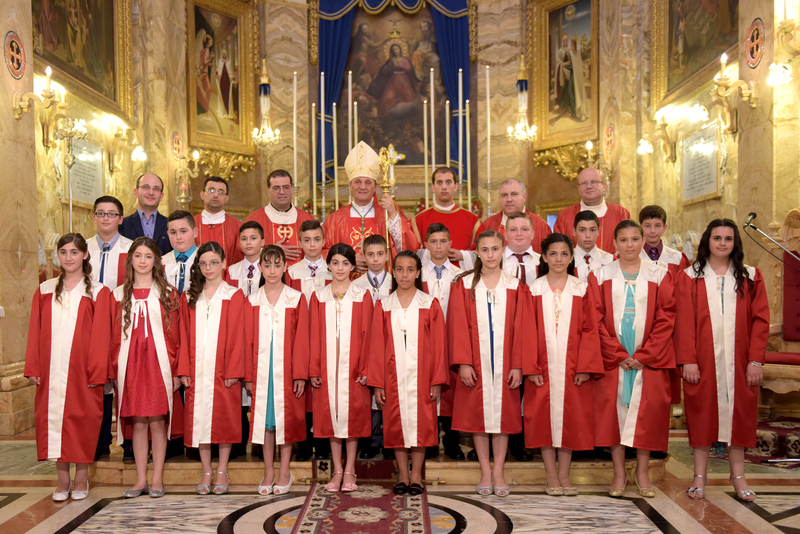 The sacrament of Confirmation was administered to 19 adolescents by Bishop Mario Grech during the 5.00 p.m. Mass on Friday the 3rd of July 2015. Confirmation is the second sacrament among the three sacrament of Initiation, the other two being Baptism and the Eucharist. Together with Baptism and Holy Orders, it is one of the three sacraments that bestows a character or sigillum in the receiver. It is usually administered during Eastertide or in the succeeding months.